Discussions about the entire construction process of how to build a barndominium steel building home. Including topics about methods, materials, suppliers, contractors, fixtures, cost, and tips. 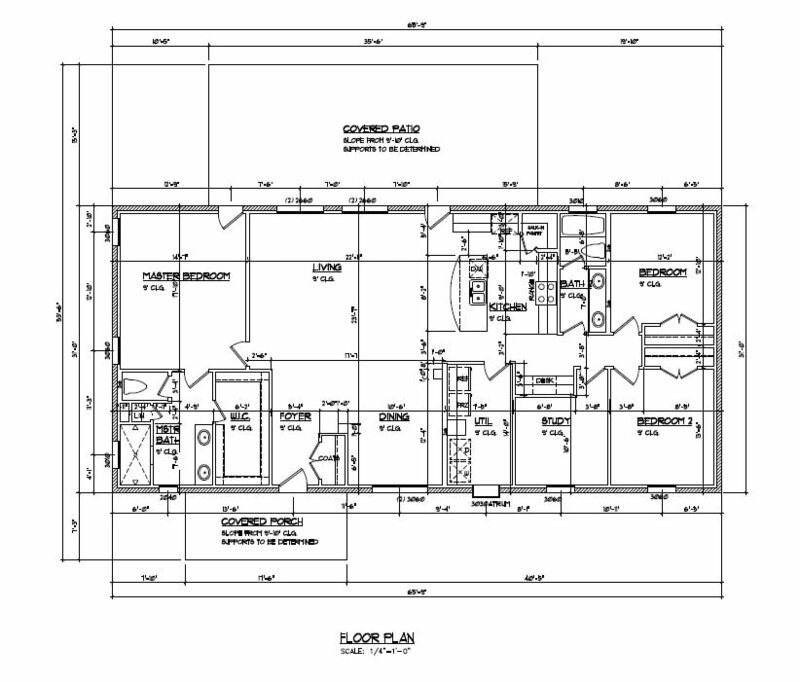 This is the floor plan of our barndominium metal building home. It's approximately 2,000 sq ft of living space and the foundation overall is 2,682 sq ft, with the porch and patio included. Shop talk about building a barndominium metal building home or any other multi purpose steel building.